Contact Us for ideas with Hockey Calendars Fundraising, Mens Hockey Calendars Fundraising ideas, Womens Hockey Calendars Fundraising ideas and Kids Hockey Calendars Fundraising ideas and suggestions. The Jackson Hole Women's Hockey Calendar Fundraiser money goes towards, benevolent giving (such as free mammogram at the clinic), to hockey scholarships for young women, sponsorships for women needing financial aid to pay our annual dues, tournament fees, or buy hockey equipment. The Jackson Hole Women's hockey team wopuld like to thank their wonderful coaches John Frechette, Frank Lyons and Brian Upesleja and the support provided by Becky Hawkins. 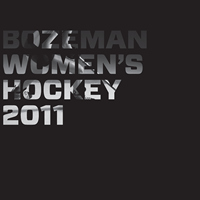 The 2012 Jackson Hole Women's Hockey Calendar is hot off the press - Help support their Women's Hockey A, B, and C Teams!!! This is their sixth calendar production since 2002, and proving to be the best one so far. Taking on a new layout design and fresh ideas from the amazing photography team of Gene Rodman and Tracy Shaw of Montana Photographic Arts from Red Lodge Montana, we know this will be their best seller. This calendar project is the sole fundraiser for the The Jackson Hole Women's Hockey team. The women's hockey team has been playing in Jackson Hole for 30 years. The team includes a variety of skill levels from beginner to advanced and competes in various tournaments throughout the intermountain west. Get your 2012 Jackson Hole Women's Hockey Calendars before they SELL OUT! The Jackson Hole Women's Hockey team had a separate fundraiser for the 2010 Jackson Hole Women's Hockey Calendars, "Holiday Fundraiser for Our Troops." 150 calendars were signed and sent to the 150 troops of the 40th Expeditionary Airlift Squadron stationed in Qatar. The proceeds to purchase the calendars went towards the Jackson Hole Women's Hockey Calendar sales and the 150 calendars arrived in Qatar, December 13th!! Needless to say, the troops were EXTREMELY excited to receive those calendars and they will apparently be sending something back in return! 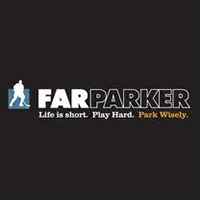 Thanks again for supporting Jackson Hole Women's Hockey A, B, and C Teams! We are supporting their hockey philanthropy efforts and they have just a few Womens Hockey Calendars left. Please help the Jackson Hole Women's Hockey A, B, and C Teams if you can.